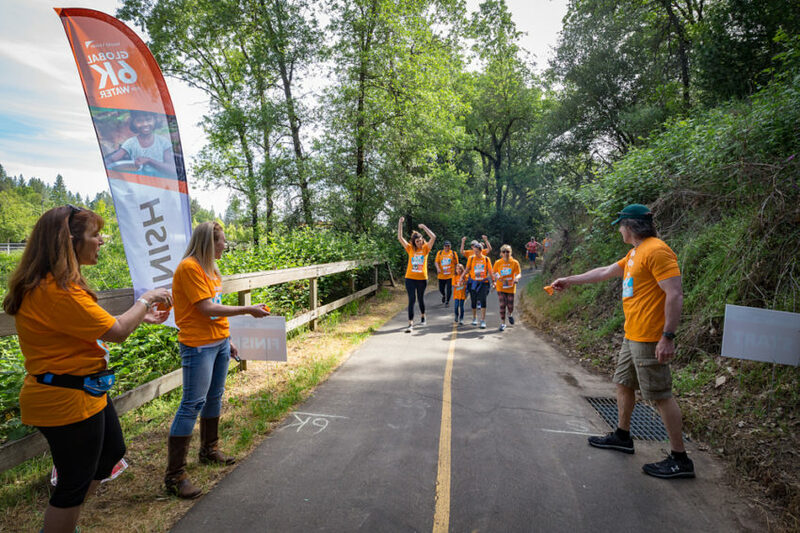 World Vision’s 2018 Global 6K for Water united thousands of people to bring clean water to people in need May 19, including one 12-year-old girl who declared it a “life-changing” day. 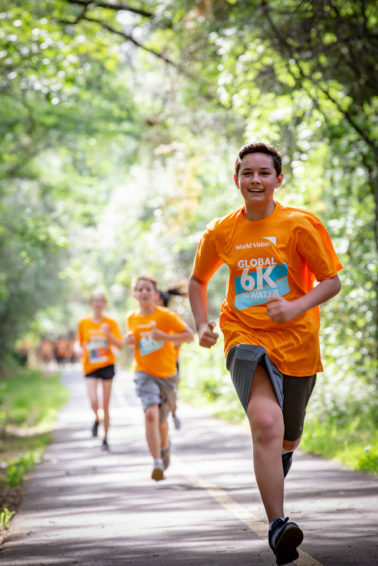 Zoe was among more than 48,000 participants worldwide who laced up for the Global 6K for Water May 19. Races were held in 1,075 locations in 23 countries, including the United States, Canada, Germany, Spain, Indonesia, Japan, Kenya, and Australia. 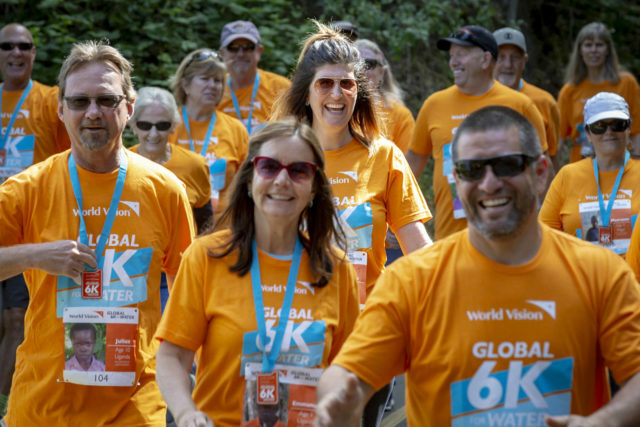 Overall, more than 63,000 people received clean water through the 2018 Global 6K for Water. 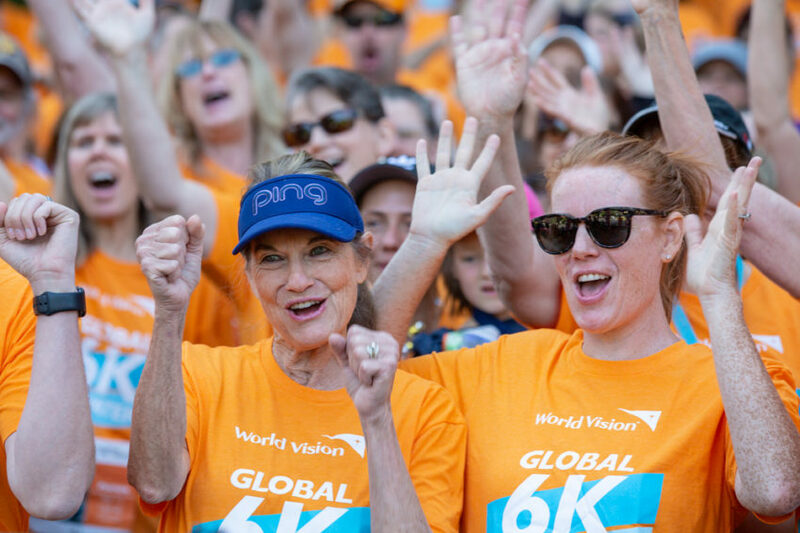 Across the United States, children, parents, couples, and teams wearing vibrant orange T-shirts emblazoned with the words “Global 6K for Water,” streamed out in celebration with orange wigs, tutus, and balloons. 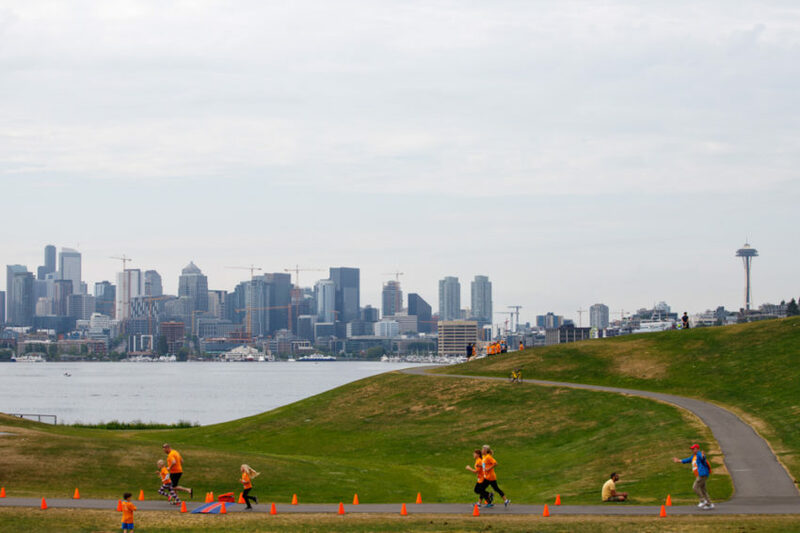 Going the distance with a plastic jug filled with water was challenging for Bianca, who joined more than 1,200 other participants at Gas Works Park. 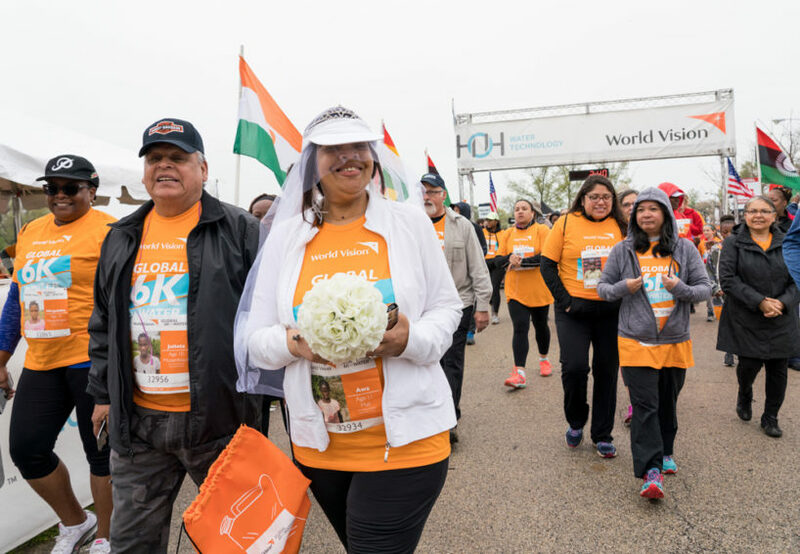 Six kilometers (about 3.7 miles) is the average distance that people, usually women and girls, in the developing world walk for water — water often contaminated with life-threatening diseases. Each day, more than 800 children under age 5 die from diarrhea caused by contaminated water, poor sanitation, and improper hygiene. The number of people without access to clean water, however, is shrinking, as World Vision provides a new person with clean water every 10 seconds. Today, 89 percent of the global population has access to clean water. 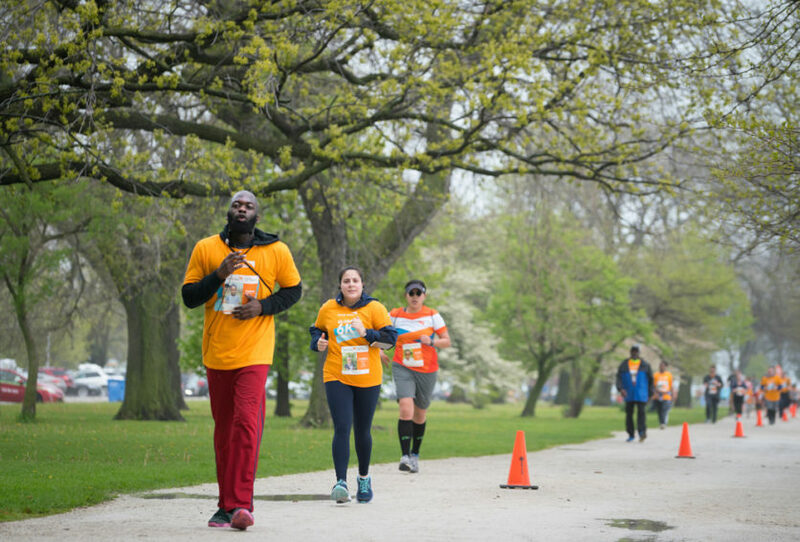 In Chicago, drizzle and cloudy skies didn’t stop the more than 1,000 participants who gathered at Montrose Park. For Mark and Andrea Wittig, the race was more than another run. It was personal; they’ve been running together since they were engaged more than a decade ago. 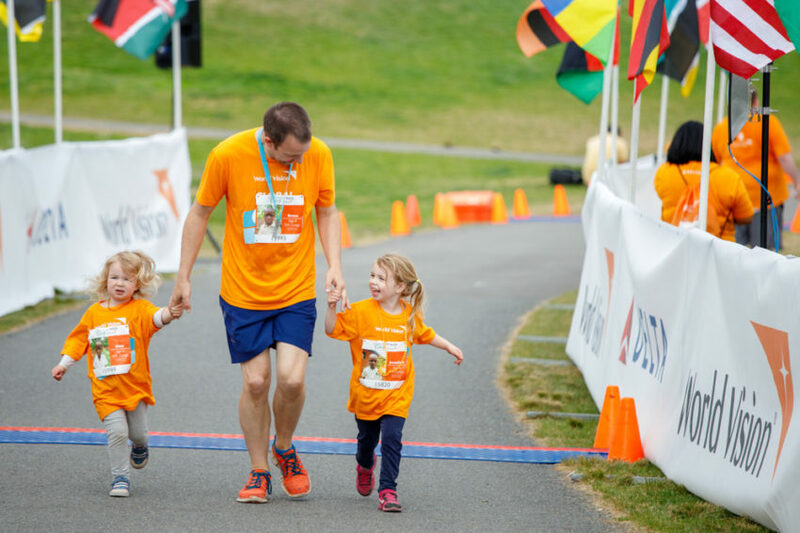 Now more than 11 years later with a family that has blossomed to include three children, Andrea and Mark think about their middle son, Josh, as they pass the miles and markers to the 6K’s end. Josh was adopted from Uganda when he was 3 years old. When they brought him home, he had giardia, a common parasite for children exposed to unsafe water. “He lived the reality of not having clean water,” Andrea says. It was also a family affair for HOH Water Technology, a corporate partner for the 6K. The Chicago-based water treatment company is an American success story, celebrating 50 years and three generations of family ownership. 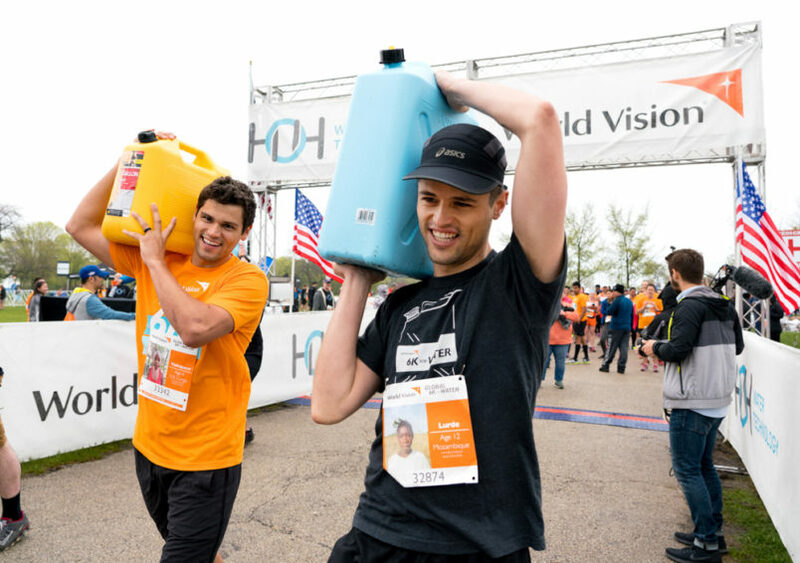 They had more than 100 staff members come out to run and walk for clean water, including current president Tom Hutchison and his son Reid, who walked with a hefty jerry can. Kindergarten teacher Beatrice Hall was also looking at the ways thinking globally can help locally. She brought 40 students from Alex Haley Elementary. The school is located on the south side of Chicago in an area with high poverty levels. For all of the students, it was their first time doing a charity walk. “We’re trying to get the kids to fight for and believe in something. I tell them, ‘You can do anything; you can be anything,’ and this is part of it — showing them they can make a difference globally,” Beatrice says. 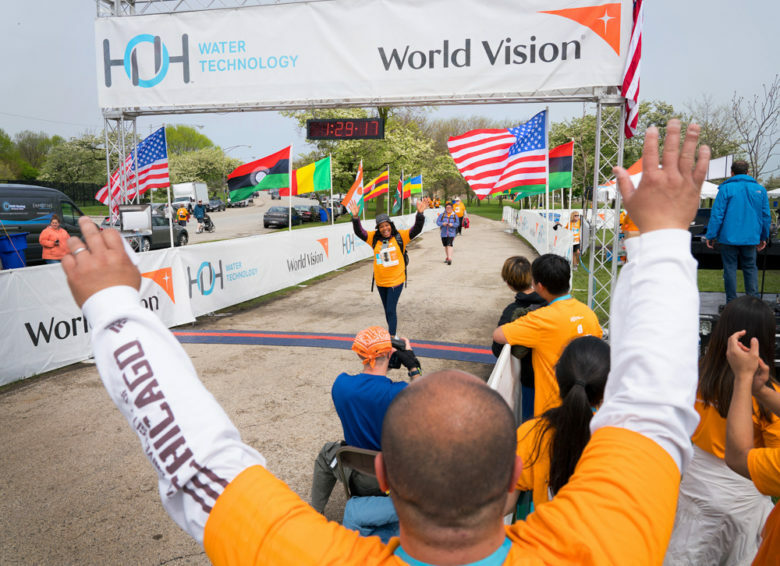 Participants ranged from first-timers like the students from Alex Haley Elementary to experienced racers like Tyrone Wheeler who has run multiple marathons with Team World Vision. With his headphones, sports sunglasses, and runners’ build, his joy for the sport was clear as he scanned the crowd. It’s advice Alicia Joseph took to heart. She stood out in the crowd in a tiara, veil, and wedding bouquet. “If we’re going to have a walk on the day of the royal wedding, … you’ve got to,” she says laughing. “This is a worthwhile community event in which each participant leaves with a greater understanding of the water issues facing children and their families,” says Lisa Anderson, a member of Cascade Covenant Church in North Bend, Washington. 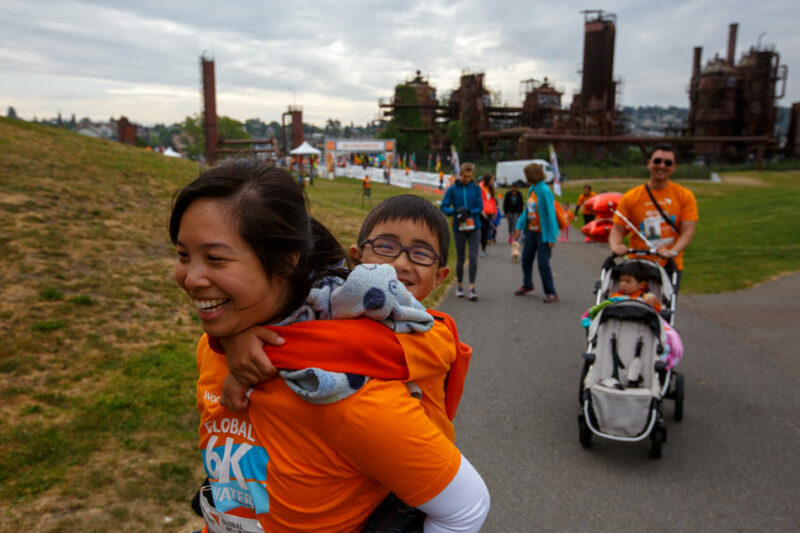 “This year, it’s me and my nephew, but I believe being here for this event will encourage more of my family to participate next year so we can reach more people in our efforts to bring water to families,” says Lisa O’Neill of Redmond, Washington, who pushed a stroller with her young nephew. 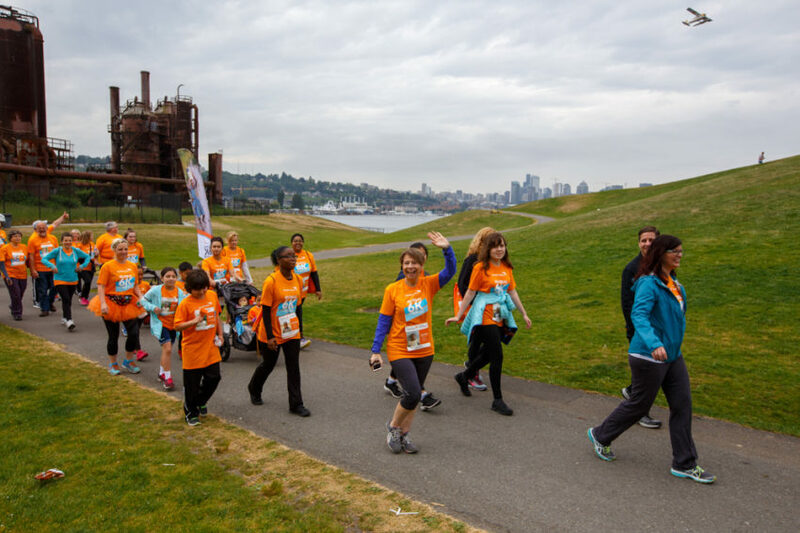 “This is a great way to get our family involved in a cause that changes lives and the world,” says April Lam of Mill Creek, Washington. 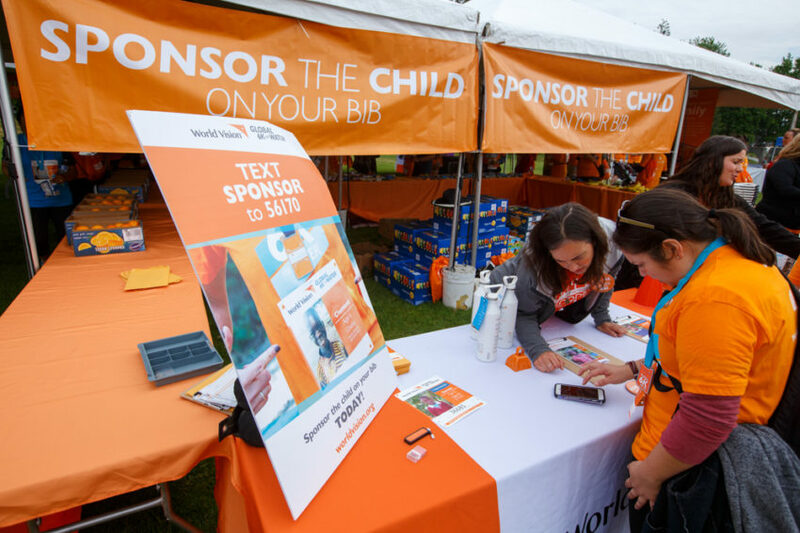 Continue the relationship with the child on your Global 6K for Water bib by becoming his or her sponsor.